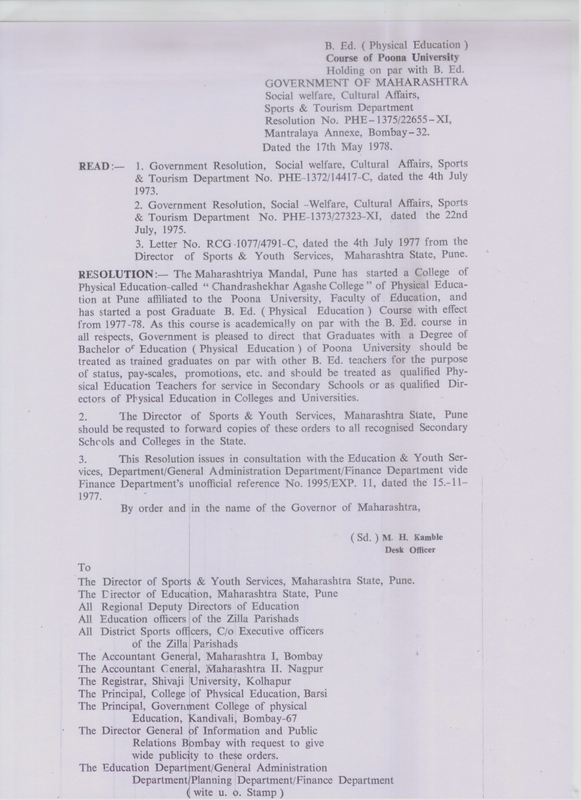 Chandrashekhar Agashe College of Physical Education is affiliated to the Savitribai Phule Pune University , is accredited by NAAC and is recognized as a Research Centre in physical education. It offers a range of Bachelor’s and Master’s Courses in physical education as also an M.Phil course. It is spread over a sprawling area of 32 acres of land, has the requisite infrastructure and facilities and vast play fields and tracks. All the modern administrative facilities are housed in suitable buildings. The college also has its own hostel and mess facilities. CACPE is a centre for quality physical education, one of its kind, known and recognized widely across the state of Maharashtra and the country. 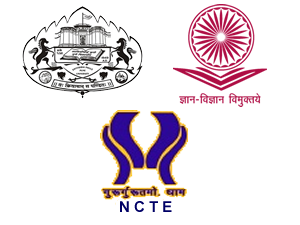 CACPE is affiliated to the Savitribai Phule Pune University (SPPU). CACPE is recognized by National Council on Teacher Education (NCTE). Opp. Tilak Maharashtra Vidyapeeth Nagar, Gultekdi, Pune - 411037 .